Motorcycle racer best known for his performance in the Isle of Man TT races, where he is considered one of the best ever. He grew up around bikes, as his father owner a motorcycle repair shop. 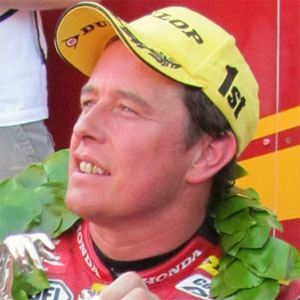 On June 8, 2009, he broke a record, becoming the all-time Isle of Man TT wins-leader. He married Becky McGuinness during his career, and has two children with her. He has often competed against Guy Martin.